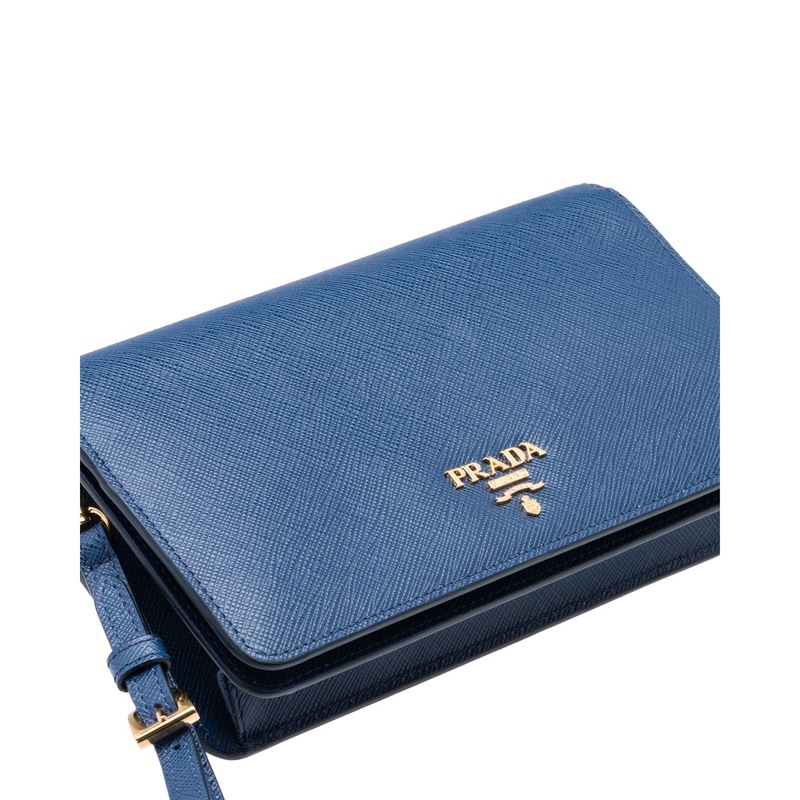 A Saffiano leather mini bag detailed with Prada lettering. 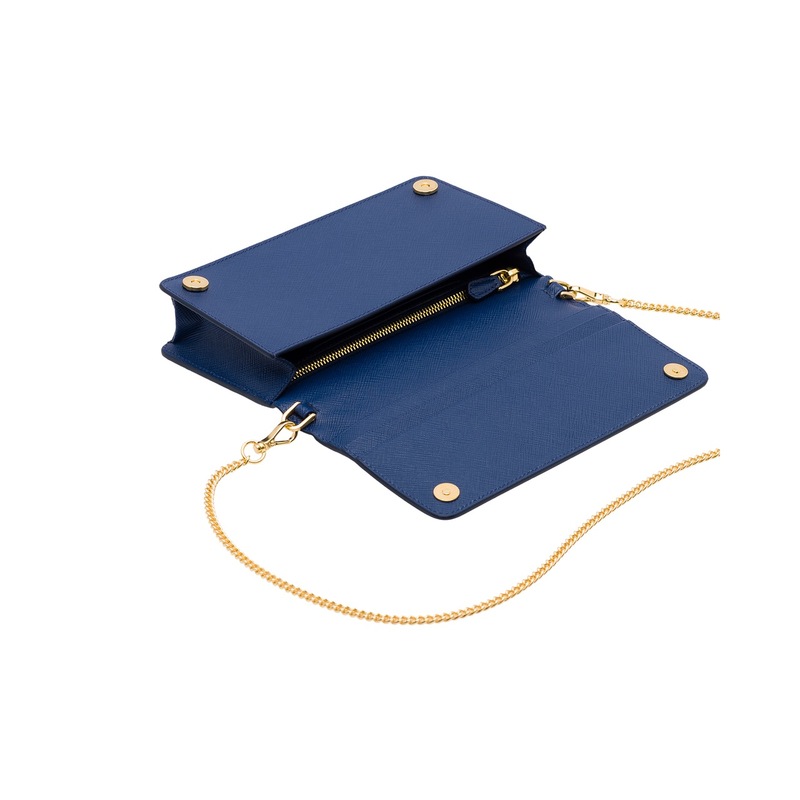 There is space for bills and coins, as well as two compartments for smartphone. 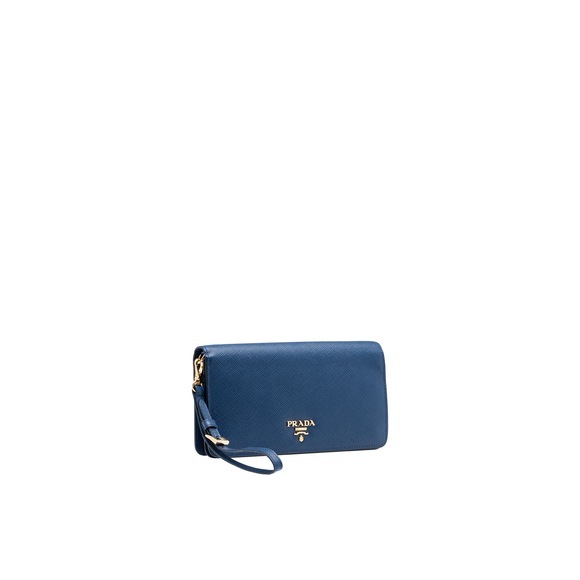 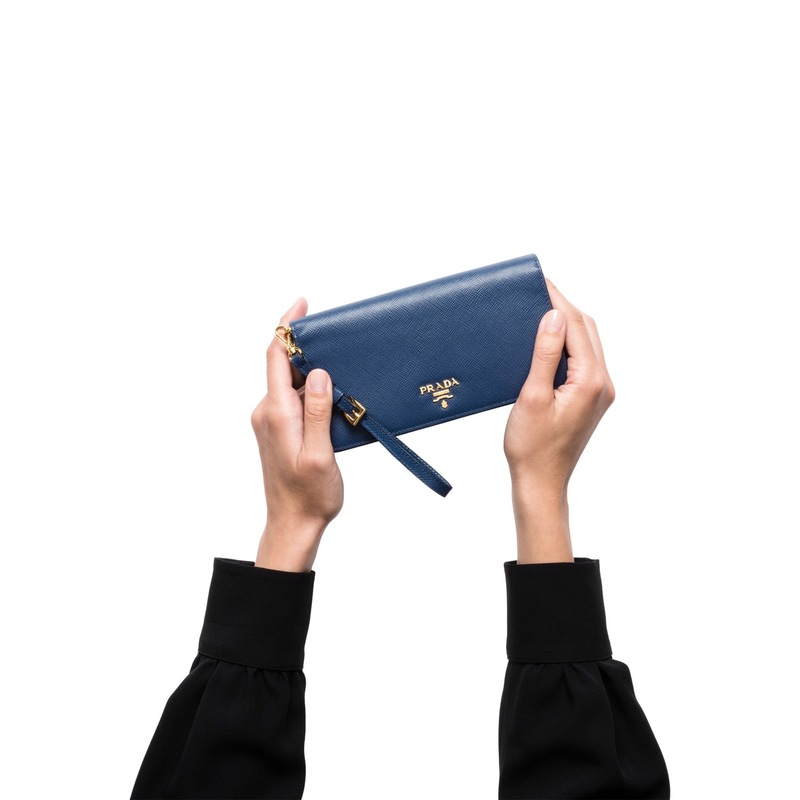 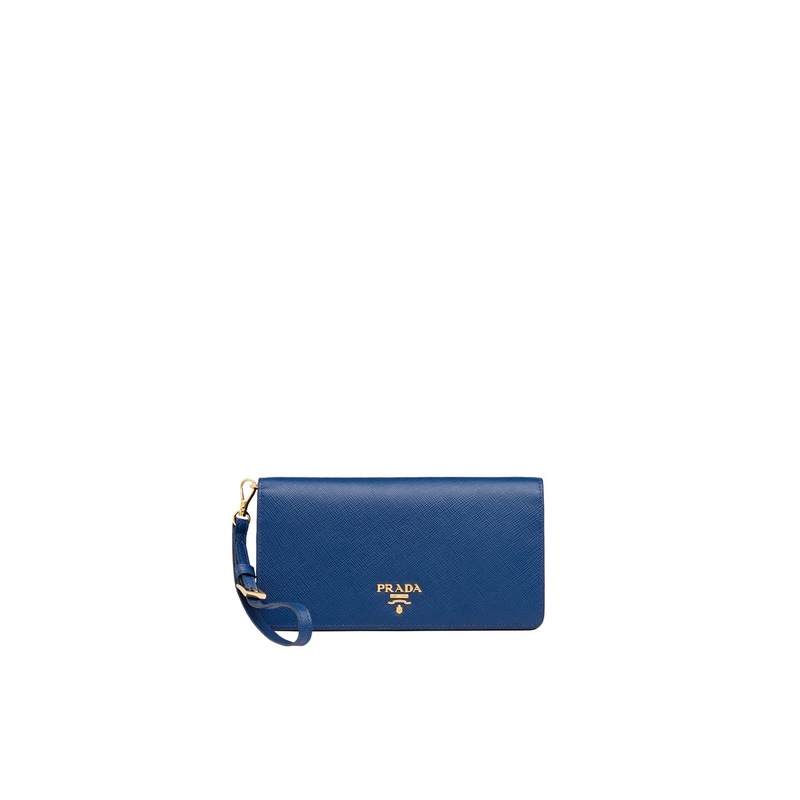 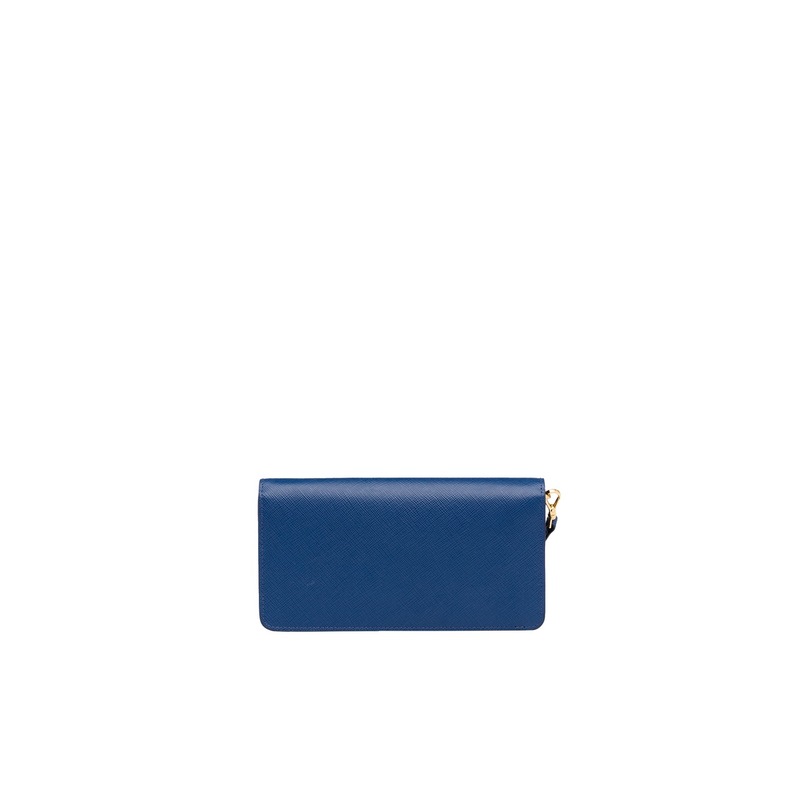 The case can be worn with a chain shoulder strap or leather wristlet.